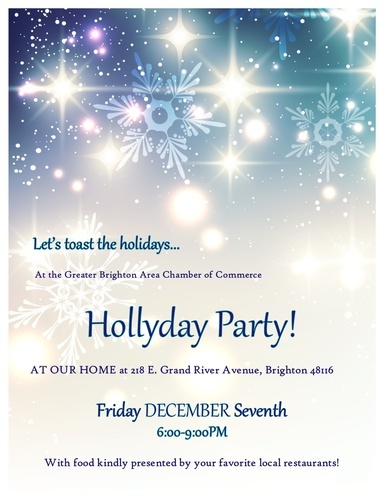 The Greater Brighton Area Chamber of Commerce is pleased to present our annual Hollyday Celebration! You are cordially invited to join us at the Chamber offices as we start the holiday season with an evening of good company, delicious cocktails and incredible food graciously provided by local member restaurants! This is our way to celebrate and say thanks to you while enjoying this magical time of year!